Soccer star Menashe Zalka uses award ceremony to honor Fuld. Zalka and Fuld served in the same reserve IDF unit. Israeli soccer star Menashe Zalka decided to dedicate an award he received to the late Ari Fuld after serving with the recently-deceased Israeli advocate in the military. Zalka, who plays for Hapoel Hadera F.C., was awarded the Zionist Prize by organization grassroots 'Im Tirzu' organization for being the only Israeli professional soccer player that also serves as a captain in the reserves. Apun receiving the award, Zalka saved special mention for Fuld, who he served with in his reserve paratrooper unit. 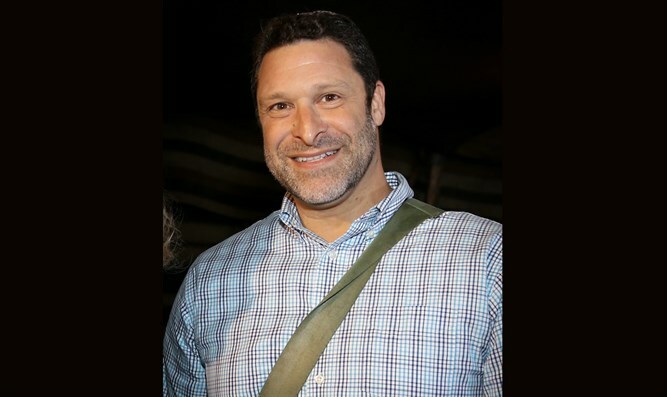 "This prize is dedicated to all the reservists and the family of my friend Ari Fuld. I will continue serving the State of Israel in the reserves and as a player in the Premier League," announced Zalka. On Thursday, Yediot Aharonot reported that Police Commissioner Roni Alsheich is expected to convene Israel Police's decoration committee as soon as possible in order to discuss the awarding of a medal to Ful for civic heroism. The awards ceremony will be held next month, during which medals will be awarded to policemen and civilians who displayed courage and heroism in their struggle against terrorism and terrorists in the last three years during which the wave of “lone wolf” terror has taken place.